What’s the average Kickstarter goal and how can setting realistic funding goals help you raise more money? While there are no hard-fast rules for every campaign, there are some good rules of thumb to follow for setting realistic crowdfunding goals and making your crowdfunding campaign a success. Setting your campaign’s funding goal is more important and more strategic than most people understand. Aim too low and people might not be motivated to help out once you hit your funding goal. Aim too high and you could be left with nothing if you fail to reach your goal. Setting the perfect crowdfunding goal will motivate supporters and raise as much as possible. Coming from the investment industry, I’m often amazed that people put so much thought into marketing and the write-up for their crowdfunding campaign but fail to really think about how much money they need. Your crowdfunding campaign budget needs to be as detailed as possible in order to set realistic crowdfunding goals, not only to know how much you need but to show supporters that you’ve put some time thinking about all the costs. 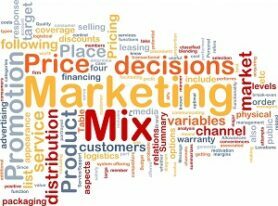 Include both campaign and project marketing expenses – Are you going to need to advertise your product or service after the campaign? While you can crowdfund without spending anything on advertising, it helps to have a budget for campaign outreach. Administrative expenses – Crowdfunding can be a ton of work and it may be cost effective to hire someone to do routine jobs. Don’t forget to include a budget for any supplies, rent and utilities for your campaign. Budgeting for rewards fulfillment means not just packaging and shipping expenses but budgeting for your time as well. Platform fees are the most common expenses that get overlooked by crowdfunding campaigns. These can approach nearly 10% of the money you raise so pay attention to the fine print on the crowdfunding platform. Check out my post on the Top Crowdfunding and Fundraising Websites for detail on the different sites and fees. Once you’ve budgeted out all your expenses, I would normally recommend you increase it by 10% for miscellaneous expenses and surprises. Crowdfunding is hard enough but running out of money before you fulfill your campaign promises will make it even harder to raise any more money in follow-up campaigns. Setting your crowdfunding goal is just one part of the process to a successful campaign. Get the entire 17-step process and Kickstarter hacks in Step-by-Step Crowdfunding. I put this book together after years of consulting campaigns and after raising over $20,000 in my own Kickstarter campaign. In Step-by-Step Crowdfunding, you’ll get everything you need to build a community of supporters that will promote your campaign. You’ll learn how to use crowdfunding for more than just money and how to leverage your success for larger campaigns in the future. 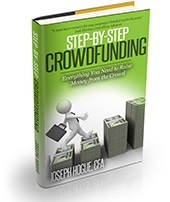 Get Step-by-Step Crowdfunding on Kindle, Paperback or Audiobook. After you’ve put together a detailed budget for your project, it’s time for a reality check. Sure, the Star Citizen video game campaign raised $2.1 million but what are your chances? Of the 76,931 successfully funded projects on Kickstarter, 72% of them raised less than $10,000 and only 85 have raised the legendary $1 million or more. 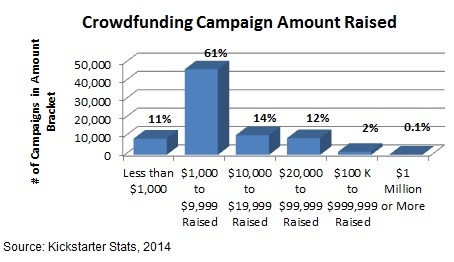 The graphic below shows just how tough it is to raise the big bucks in crowdfunding. The average Kickstarter goal is around $5,000 though most don’t reach their funding goal. The average crowdfunding goal for successful projects is lower. The good news is that if you can raise at least 20% of your goal, odds are that you can reach fully funded. Nearly four-fifths (79%) of the campaigns on Kickstarter that raised more than 20% of their target ended up being successfully funded. If possible, try an initial campaign where you just raise money for idea development. Raise money for market research, legal filings and development of a prototype. This will give you a much lower target at which to aim and will be easier to fund. You’ll also have a successful campaign to show potential supporters in follow-up campaigns and you will learn a ton about what it takes to run a successful crowdfunding project. Let your pre-launch success help determine your crowdfunding goals. Campaigns that raise no money before their launch have an average success rate of just 15 percent. For campaigns that raise 5% of their goal, the success rate jumps to 80 percent. Raising funds pre-launch helps to show social proof that people already trust you and the campaign. Try raising money for a month before the campaign. Setting your funding goal at less than 20 times the amount you raised pre-launch means you’ll start with a good chunk already funded. It's important to build in all potential expenses into your budget ahead of time. This means building in an estimate of crowdfunding marketing costs and crowdfunding promotion services. Crowdfunding platform Seedrs reports on its blog that once a campaign reaches 30% of its funding goal, the odds of success jump to 90% compared to just a 50% chance across all campaigns. The success rate for projects on Kickstarter is 39% so your biggest goal is probably just going to be reaching your funding target. There is another important goal you should consider for your campaign, traffic and outreach for your project. One of the biggest benefits to crowdfunding is the marketing exposure you can get for your business or cause. Nearly 15 million people visit the Kickstarter website every month, potentially leading hundreds or thousands to your business. The crowdfunding platforms don’t release statistics on the average number of visitors to a campaign. I’ve talked to just over 40 crowdfunders since I have been running the blog and the average seems to be somewhere around 2,000 views and a conversion rate of around 5% of those that actually end up supporting a campaign. Setting traffic goals can help you focus your marketing efforts and really get the most benefit out of your campaign. Work on your social reach before launching the campaign. Engage with people already in your social network and try to reach at least 100 active contacts across the different social media websites. After launching your campaign, set weekly crowdfunding goals for the campaign page. Most crowdfunding campaigns start really strong but then momentum fades after two weeks. You will want to adjust your goals depending on your funding goal. For example: The average amount from a supporter is around $75 so you will need about 70 backers to meet a $5,000 funding goal. If you can convert 5% of the visitors to your campaign into backers then you’ll need about 1,400 visitors over the life of the campaign. Setting realistic crowdfunding goals really depends on how creatively you position your campaign. I talked to 22 campaigns that shared some great tips for church fundraising ideas and for school fundraising ideas. Your funding target and traffic goal are just two of the milestones you’ll want to set for your crowdfunding campaign. Don’t let the average Kickstarter goal or poor rates of success on crowdfunding keep you from raising as much money as possible. Set a realistic goal that will motivate your supporters and drive your campaign. Be strategic setting your funding goal, based on actual costs and how much you think you can raise. What if I find that I need more money for my cause than I initially published in my campaign? What if my project is taking longer to finish than what I published as my deadline? Do I raise the fundraising goal amount? Do I keep it at the same amount and extend the campaign deadline? Both good questions on crowdfunding Sharon. Normally you can’t change the funding goal or deadline for a crowdfunding campaign. That’s why it’s so important to thoroughly research your needs during the pre-launch crowdfunding phase. Try just making the current campaign a success on the funding goal you set and then plan another campaign in the future to cover the extra funding needed.